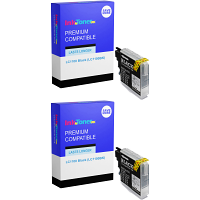 Brother MFC-790cw Printer Get the BEST value for money when procuring your NEW Brother MFC-790cw ink cartridges right here at InkNTonerUK! 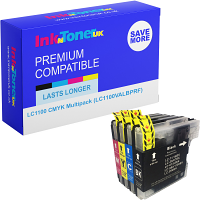 -The InkNTonerUK team aim to get you (the customer) the most economical prices on the purchase of all the printing consumables we vend, in this case the obligatory Brother MFC-790cw ink cartridges, requisite to maintain a high standard of usage of your MFC-790cw printer! 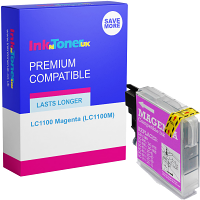 All the products we sell will constantly meet the full expectations of that particular product(s); this gives you the assurance that whenever you come to acquire your NEW MFC-790cw ink cartridges, you will be supplied with nothing less than the BEST to what is available on the market elsewhere! GET YOUR COST-EFFECTIVE BROTHER MFC-790CW INK CARTRIDGES TODAY! Your NEW Brother MFC-790cw ink cartridges can show off their premium quality in a number of ways, as the MFC-790cw printer has a number of supported media types in which its prints/scans/copies & faxes can be displayed on, these primarily being; Plain paper, photo paper, coated paper, cards, envelopes & transparencies...The Brother MFC-790cw printer has an all-embracing usage option, an intention for everyone! Generating prints at speeds of UP TOO; 33 PPM (Prints per minute) in Mono (Black), and UP TOO; 27 PPM in Colour gives a sense of productivity and swiftness, a benefit for larger quantity print-jobs! 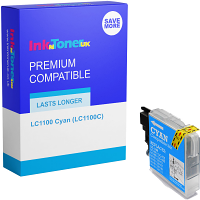 Don't despair, as no longer will you have to limit the utilization you get from your Brother MFC-790cw printer, as now that you've discovered InkNTonerUK, you will be receiving longer-lasting ink cartridges for your MFC-790cw printer, more frequently, as the costs to purchase are somewhat 'easy-on-the-pocket'! 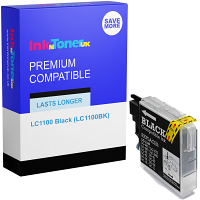 InkNTonerUK's broad selection of returning patrons are proof that by acquiring your NEW Brother MFC-790cw ink cartridges from us will be a long-term money-saver, helping you to put a bit more of your hard earned cash towards more of the desirable things you yearn in life! So 'Bookmark' this page, for a direct approach to get where you are NOW, for appreciably CHEAP Brother MFC-790cw ink cartridges!